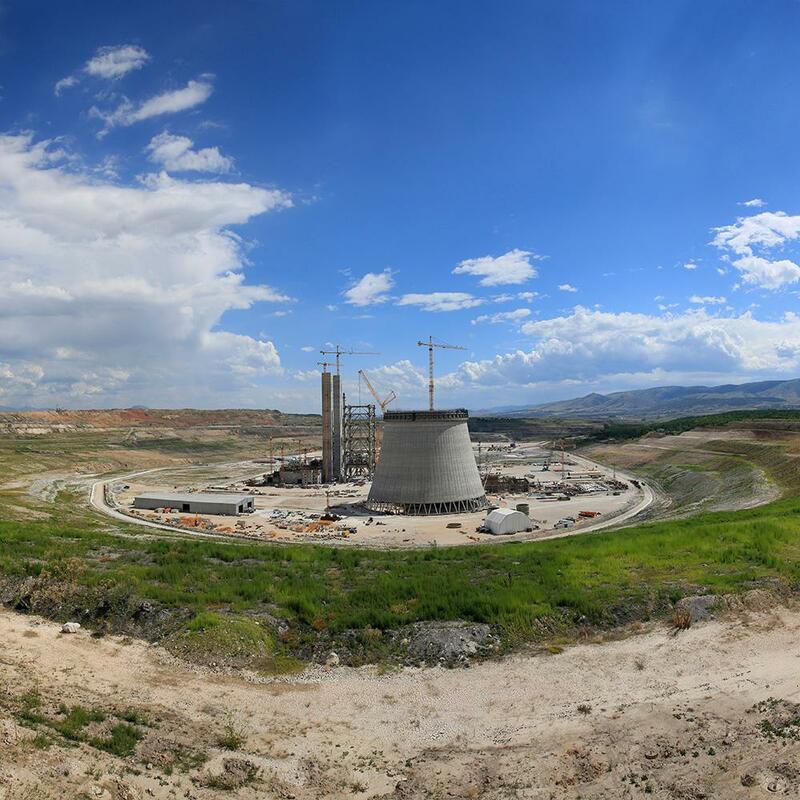 To keep in pace with increased demand for electricity and relieve the strain on coal-fired power plants of older design, the 660 MW lignite-fired power plant Ptolemais Unit V is under construction in Greece. 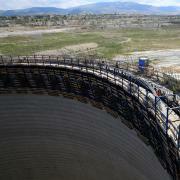 Greek construction company Terna S.A. contracted to build the megawatt project. When it came to the formwork for the 170-metre cooling tower, they turned to Doka and Doka's decades of experience in the field. The new unit is under construction in Ptolemaida, an industry and mining region in Northern Greece some 500 kilometres from the capital, Athens. Ptolemais Units II to IV are lignite-fired plants of older design. 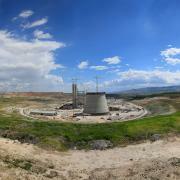 The modern, high-efficiency Unit V is being built on the disused site of the former "Komanos" open-cast lignite mine. The new unit is due to enter commercial operation in 2019. With a much higher level of efficiency than the old units, Ptolemais V will fire fuel at a considerably lower rate of consumption and emit significantly less CO2 than the existing power plants in Greece. 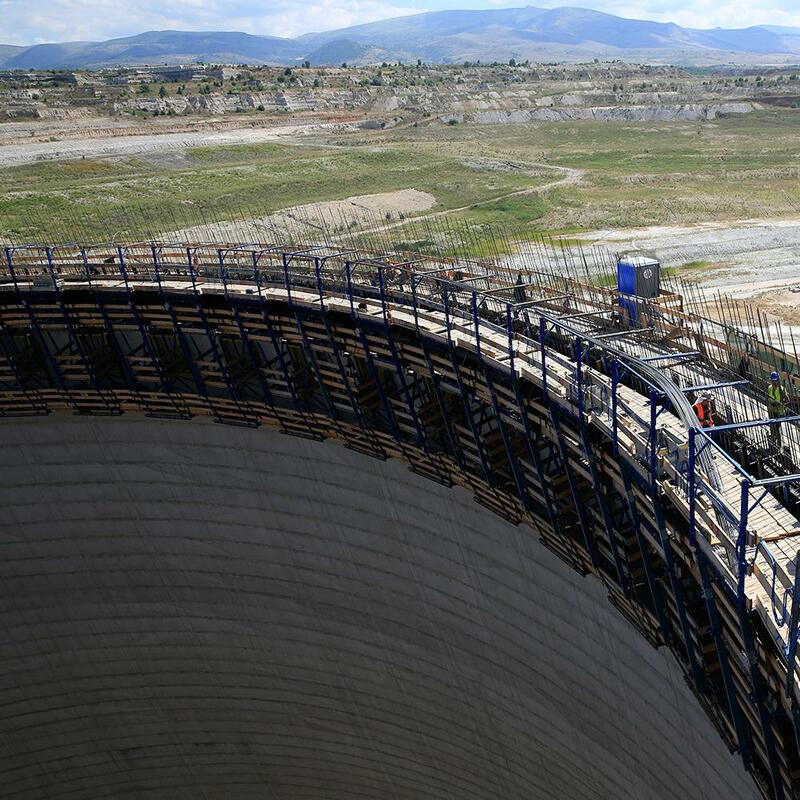 The high-performing Doka cooling-tower formwork SK175 is the ideal solution for large-scale projects like this. 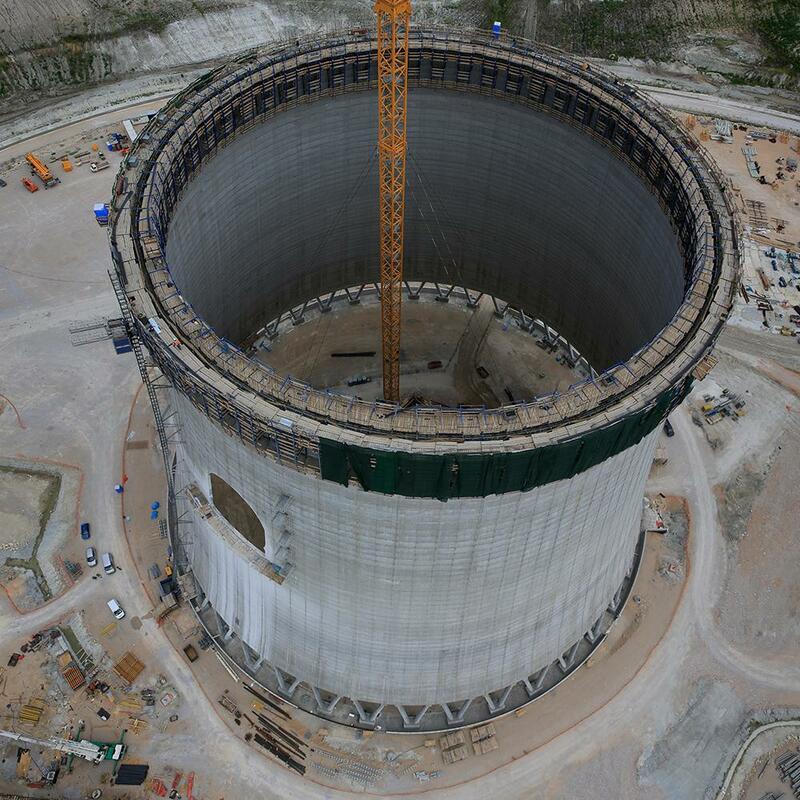 For this project, moreover, Doka Greece and the Global Expertise Center Energy (GEC EN) in Amstetten, Austria, have contracted to supply specially designed formwork for the first rings of the cooling tower. The solution is designed for the seismic-load classification of this region. Difficult access is typical of many energy-project builds. 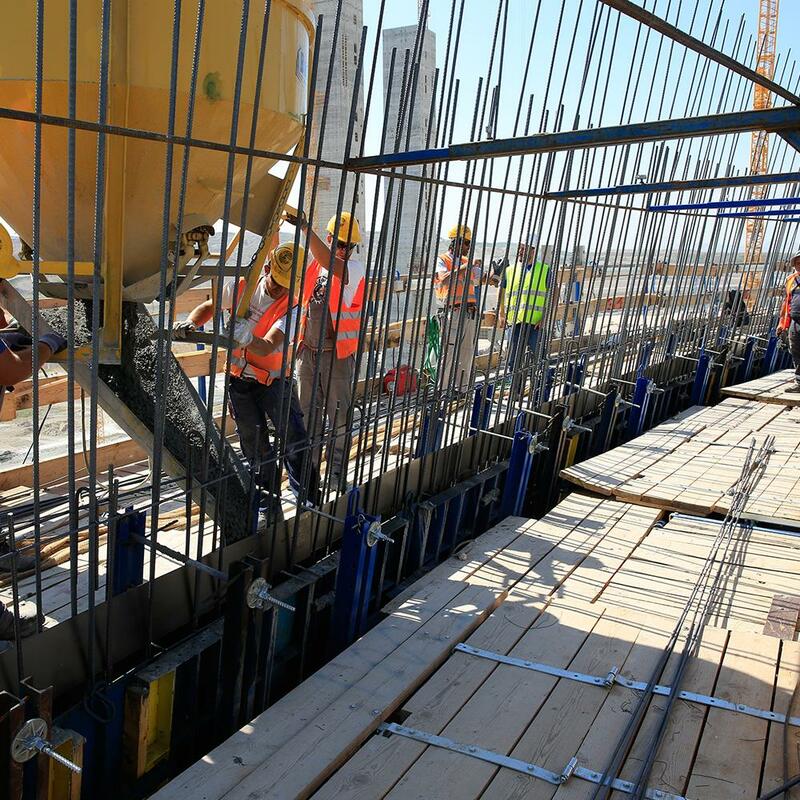 Other challenges facing the formwork engineers include ultra-high specs for the quality of the finished concrete and optimum dovetailing of the individual steps along the construction timeline. This particular project adds yet another challenge, one not normally encountered. The lignite-fired plant is sited in a seismically unstable part of Greece, so additional materials are needed on the site and extra safety precautions have to be implemented during the build. In close cooperation, Doka Greece and the GEC EN in Amstetten elaborated a specific construction concept to maximise the efficiency of the Doka formwork technology. For example more braces, anchorages and stiffening profiles are added to ensure stability during construction. Large-area formwork Top 50 and Load-bearing towers Staxo 100 were used at the start of the project and for forming the first ring. Then SK175 automatic climbing formwork for cooling towers was brought in. Cooling tower formwork SK175 is an all-mechanical automatic climbing system for pouring-section heights of 1.50 m. This solution is perfect for precision forming combined with extremely short cycle times. The climbing scaffolds are carriers for the steel formwork and are climbed from section to section by at least ten electro-mechanical lifting systems. As it climbs the formwork is safely guided up the structure. Climbing operations are virtually unaffected by wind velocity and weather conditions. 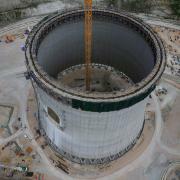 In all, 104 units of Doka cooling-tower formwork SK175 are deployed for this project. The 108 pouring sections are being cast in a 1-day cycle, so progress is fast and also safe. "Doka gave us full support and the design of the SK175 system is excellent. So we've been able to stick to a very tight construction schedule. Doka's capability plus our well-organised site crew is the combination that enabled us to achieve a one-day cycle for a ring height of 1.50 metres sooner than initially planned", asserts Makis Siderakis, Cooling Tower Construction Manager, Ptolemais Unit V.
The inclination of the formwork is adjusted from the automatic climber, by means of adjusting spindles. The maximum angle of inclination is 22 degrees. "So even at a 70-metre radius we can climb without any adaptations and all the geometries usually encountered in cooling tower construction are covered", explains Andreas Guttenbrunner, Doka's Engineering Manager in the Global Expertise Center Energy. The units are climbed by a climbing winch and a gear motor. 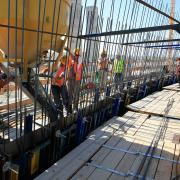 There are 5 to 6 motors mounted on each of the units for the interior and exterior formwork of the tower. These motors are repositioned horizontally whenever necessary. Reinforcement holders integrated into the scaffold permit fast, simple installation of the reinforcement. Secured to the actual structure, the formwork is safely guided in all phases of climbing, so there are no problems with climbing at great heights even in windy conditions. A safety system installed on the automatic climbing formwork incorporates fall protection, with limit-switch-triggered automatic shut-down to prevent overclimbing. The working platforms overlap and incorporate integral access and guardrail systems. Platform width too is optimised to help ensure a safe working environment for the construction crew. "The whole crew felt safe with this system, and we know that this was a big factor contributing to success. Safety on this site was a priority and our expectations were fully satisfied", emphasises Makis Siderakis. Dimensioned to meet strict safety requirements, cooling-tower formwork systems from Doka meet the Eurocode safety standards and comply with local safety regulations. Thank you for your interest - Earthquake-resistant formwork for speedy progress. Thank you very much for your interest - Earthquake-resistant formwork for speedy progress.